In 1830 William Hall (1800-1847) joined forces with Edward Chapman (1804–1880) to establish a bookselling and publishing business housed at 186 Strand, London . According to Robert L. Patten: "By 1835 they were expanding into illustrated fiction and magazines issued weekly or monthly; such periodicity encouraged customers to return to the shop on a regular basis and recycled the firm's capital often." 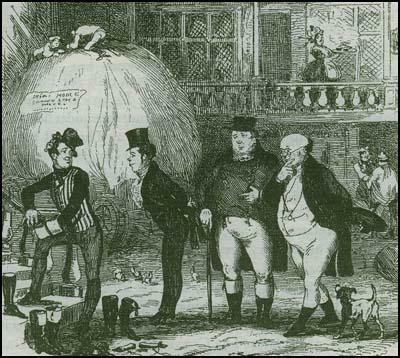 In May 1837 The Pickwick Papers sold over 20,000 copies. William Hall was so pleased he sent Dickens a cheque for £500, as a bonus above the usual payment. It continued to do well and in September it sold 26,000, in October, 29,000 and by the end of the series it was selling over 40,000 copies a month. Dickens received £2,000 for his efforts, whereas Chapman and Hall made about £14,000 from the venture. Dickens's great friend, John Forster, now became the publisher's literary adviser . Charles Dickens attended Hall's wedding in 1840. According to his biographer he spent many "pleasant, playful evenings" at their house in Norwood. 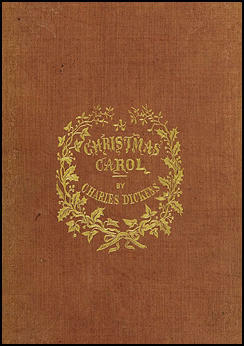 Dickens also arranged for his friends such as Thomas Carlyle to be published by Chapman and Hall. More importantly, John Forster, became literary advisor to the company. He also edited the Foreign Quarterly Review after the firm bought it late in 1841. In August 1841 Charles Dickens and his personal agent, John Forster , had a meeting with William Hall about the disappointing sales of Master Humphrey's Clock . It was agreed that the journal would be closed down when Barnaby Rudge came to an end. However, Dickens promised Chapman and Hall that they could publish his next novel, Martin Chuzzlewit . The terms of the agreement were very generous with Dickens being paid for each monthly installment, would receive three quarters of the profit and retain half the copyright. Edward Chapman and William Hall offered to help fund the trip. It was agreed they would pay him £150 a month and that when he returned they would publish the book on the visit, American Notes. Dickens would then receive £200 for each monthly installment. At first, Catherine refused to go to America with her husband. Dickens told William Hall: "I can't persuade Mrs. Dickens to go, and leave the children at home; or let me go alone." According to Lillian Nayder, the author of The Other Dickens: A Life of Catherine Hogarth (2011), their friend, the actor, William Macready , persuaded her "that she owed her first duty to her husband and that she could and must leave the children behind." Dickens agreed with William Hall that his next book would be Martin Chuzzlewit. The first episode appeared in January, 1843. It was illustrated by Hablot Knight Browne and dedicated to his friend, Angela Burdett-Coutts. Dickens wrote that: "My main object in this story was to exhibit in a variety of aspects the commonest of all the vices; to show how selfishness propagates itself, and to what a grim giant it may grow from small beginnings." The story tells of Martin Chuzzlewit, who is being raised by his rich grandfather and namesake. Martin senior has also adopted Mary Graham, with the hope that she will look after him in the later stages of his life. This plan is damaged by Martin junior falling in love with Mary. When Martin senior discovers the couple intend to marry, he disinherits his grandson. Claire Tomalin has claimed that Charles Dickens had another reason for setting part of the story in America: "When he came to write the American chapters of Martin Chuzzlewit, he was avenging himself on everything he disliked about the way he had been treated, and pointing out, with savage humour, what he hated about America: corrupt newspapers, violence, slavery, spitting, boastfulness and self-righteousness, obsession with business and money, greedy, graceless eating, hypocrisy about supposed equality, the crude lionizing of visitors. He mocked their newspaper editors, their learned women and their congressmen... and parodied the over-blown rhetoric of their speech and writing." Dickens told his friend, Cornelius Conway Felton, that he had composed the story in his head, weeping and laughing as he walked about "the black streets of London, fifteen and twenty miles, many a night when all the sober folks had gone to bed". Andrew Sanders has suggested that "A Christmas Carol reiterates and reinforces the moral and healthy societies, like sound family relationships, are based on mutual responsibility and mutual responsiveness." Charles Dickens asked Chapman and Hall to publish the book on commission, as a separate venture, and he insisted on fine, coloured binding and endpapers, and gold lettering on the front and spine; and that it should cost only five shillings. It was published in an edition of 6,000 copies on 19th December, 1843. It was sold out within a few days and because of the high cost of production Dickens only made £137 from the venture. A second edition was quickly produced. However, the publishers, Lee and Haddock, produced a pirated version that sold for only twopence. Dickens sued the company and although he won his case they declared themselves bankrupt and Dickens had to pay £700 in costs and law charges. William Hall fell ill suddenly and died at the firm's office at 186 Strand, London, on Sunday, 7th March 1847, aged forty-six. Dickens, having ascertained from Edward Chapman that his presence at the funeral would be acceptable, attended the burial at Highgate cemetery. In 1852, when W. H. Smith needed larger quarters, Chapman and Hall vacated their offices at 186 Strand and moved to 193 Piccadilly. Despite losing Charles Dickens, the company continued to prosper. Their literary adviser, John Forster, helped them to obtain several high-profile authors, including William Makepeace Thackeray, Thomas Carlyle, William Harrison Ainsworth, Edward Bulwer-Lytton, Elizabeth Gaskell, Charles Kingsley, Arthur Hugh Clough, Robert Browning and Charles Lever. In 1859 Dickens broke with Bradbury and Evans and returned to Chapman and Hall. Frederic Chapman was mainly responsible for negotiating with Dickens and oversaw the publication of A Tale of Two Cities (1860), Uncommercial Traveller (1861) and Great Expectations (1861). During this period, George Meredith, a talented author whose books did not sell well, became a reader for the company. It is claimed that he read about ten manuscripts a week and was able to bring in several important writers. On the retirement of Edward Chapman in 1864 Frederic Chapman became the new head of the company. His biographer, Robert L. Patten, has pointed out: "Chapman, backed by several wealthy friends, arranged for a multi-year buy-out and became chief proprietor. In this position he embarked upon an aggressive policy of bulk sales to large distributors for railway and overseas markets. Such transactions moved a great deal of paper for comparatively little administrative effort." Percy Fitzgerald, later commented on Frederic Chapman: "An excellent fellow he was somewhat blunt and bluff, but straightforward and good-natured. On his shoulders, even when Edward Chapman was alive, lay the burden. He was a tall, burly, rubicund man, and had good business instinct. He had a small but delightful house in Ovington Square, to which some one had added a billiard-room, which he turned into a charming dining-room." In 1860 George Meredith , a talented author whose books did not sell well, was forced to became a publisher's reader for Chapman and Hall . It is claimed that he read about ten manuscripts a week. Thomas Hardy sent the manuscript for his first novel, The Poor Man and the Lady , to the publisher, Alexander Macmillan. He replied that although he liked some aspects of the novel he disliked was he considered to be an excessive attack on the upper classes. Macmillan suggested that Hardy should approach Frederick Chapman of publishers Chapman and Hall . The manuscript was then passed to Meredith. He replied that the book would be perceived as "socialistic" or even "revolutionary" and that as a result would not be well-received by the critics. Meredith went onto argue that this might prove to be handicap to Hardy's future career. He suggested that Hardy should either rewrite the story or write another novel with a different plot. Frederic Chapman agreed to publish the book if he paid the publishers the sum of £20 to cover any losses which the firm might incur by publishing the book. Hardy rejected that idea. In 1868 author Anthony Trollope bought a third of the company for his son, Henry Merivale Trollope. In the 1930s the company merged with Methuen, a merger which, in 1955 participated in forming the Associated Book Publishers. Today the name of Chapman & Hall is used as an imprint for science and technology books by Taylor and Francis. I see, I said, as in a clear bright glass that if I go to the monthly parts next March, I do so at a great hazard. Scott's life warns me that let me never write so well, if I keep on writing, without cessation, it is in the very nature of things that the sale will be unsteady, and the circulation will fall. The Clock shows us this, every week, for it started at 70,000, and is now 30,000 - and this, notwithstanding that the Curiosity Shop made, without doubt, a greater impression than any of my other writings. I am doing what every other successful man has done. I am making myself too cheap. And although I still command a sale wholly unprecedented and unknown, even in Scott's case, that sale is shaky, and trembles every day. Propose this to Chapman and Hall. That the notice I have written be cancelled directly - that we contemplate no monthly parts at all - that we finish the Clock on the 27th. of November, and advertise for that day twelve months a new book in three volumes.